David Douglas Duncan looking through camera fitted with prismatic lens. Duncan, who died Thursday in the south of France at age 102, was one of the greatest photojournalists of the 20th century. 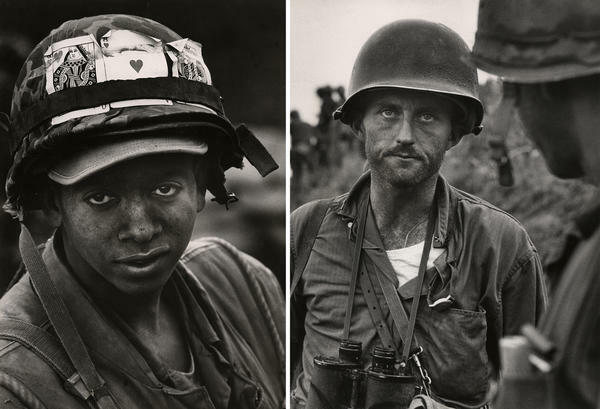 David Douglas Duncan was best known as a war photographer whose work was prominently featured in Life magazine. Photo from the Korean War, 1950. Right: Pfc. John L. Lewis decorates his helmet with good luck tokens in Khe Sanh, February 1968. Left: Captain Ike Fenton, Commanding Officer of Baker Company, 5th Regiment of the 1st Marine Brigade, receives reports of dwindling supplies during the battle to secure No-Name Ridge along the Naktong River, Korea in September 1950. Duncan's photos often focused on the daily struggles of soldiers. 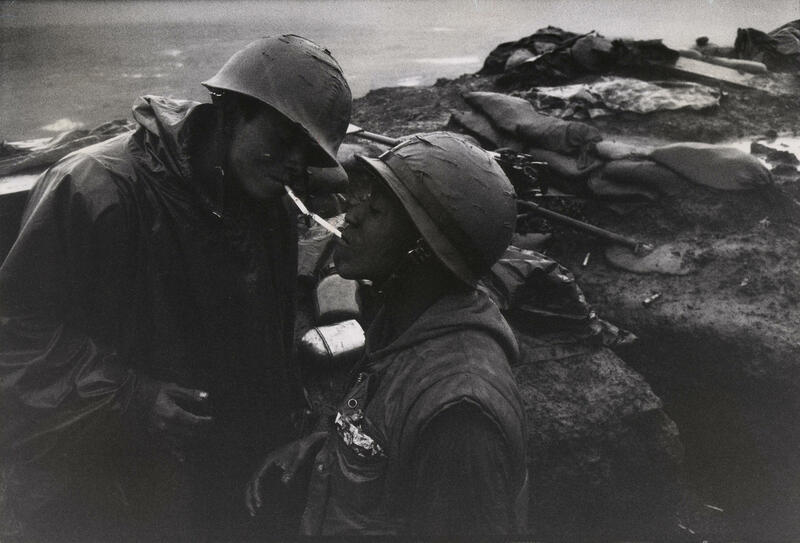 Here, one American lights the cigarette of another in Con Thien, Vietnam, 1967. 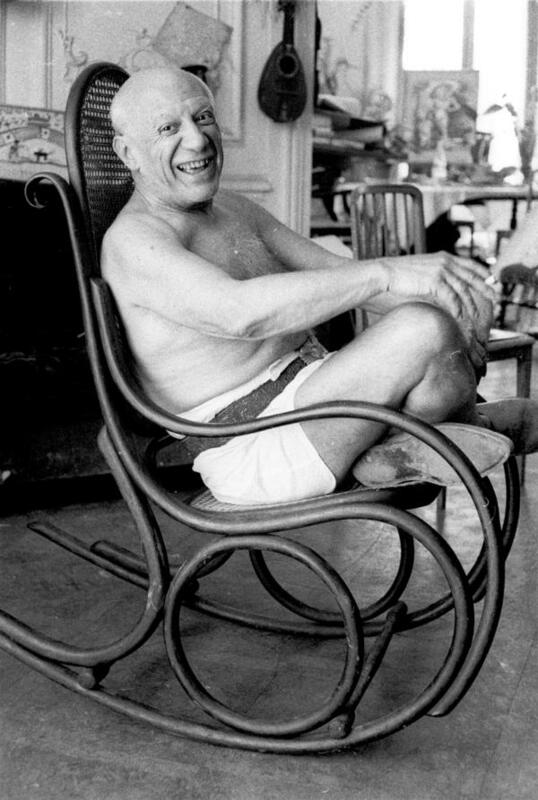 Pablo Picasso enjoys a cigarette in the comfort of his bentwood rocker in his studio, La Californie, in Cannes, France, in 1957. Picasso's face reflected for an instant, 1967. Digitally reproduced from original 35mm negative. David Douglas Duncan went everywhere and took extraordinary pictures at every stop. 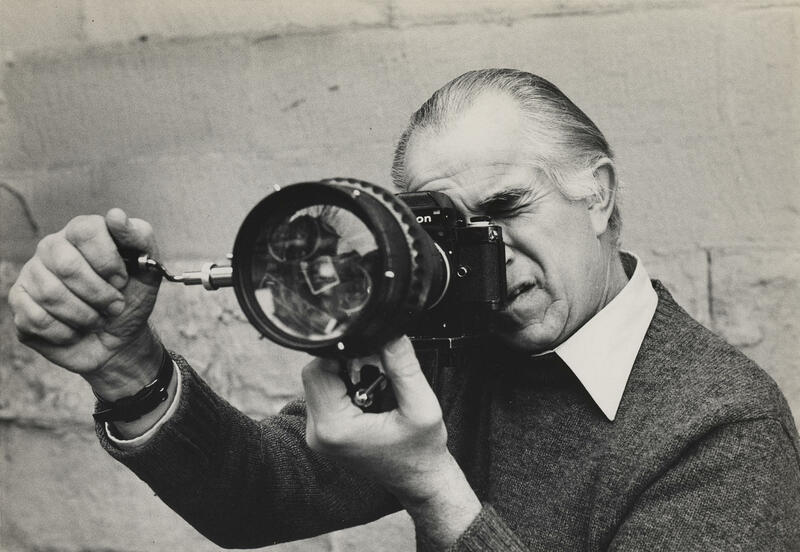 Duncan, who died Thursday in the south of France at age 102, was one of the greatest photojournalists of the 20th century. He worked in so many places, over so many years, that his personal archive amounts to a remarkable one-man global history tour — from the brutal realities of the Korean and Vietnam wars, to a playful Pablo Picasso in his studio, to Bedouin tribes crossing the Saudi Arabian desert on camels as the first oil wells rise, irrevocably changing their lives. Duncan, who was born in Kansas City, Mo., on Jan. 23, 1916, became a Marine officer and combat photographer in World War II, covering the U.S. forces as they advanced across the Pacific. He was aboard the USS Missouri in 1945 as the Japanese surrendered to Gen. Douglas MacArthur in Tokyo Bay. This set the tone for his career. 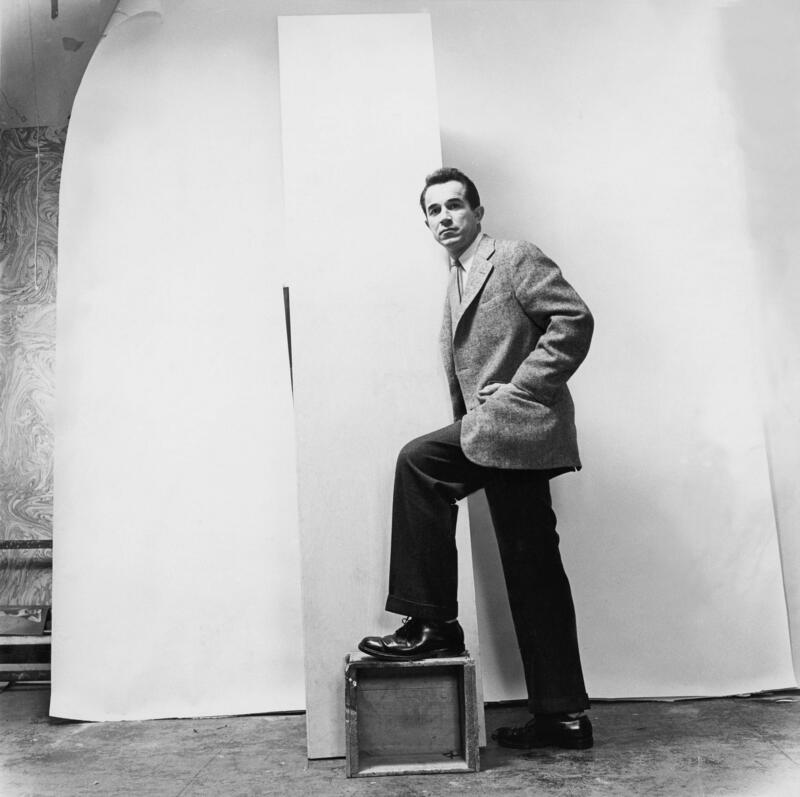 Duncan was best known as a war photographer whose work was prominently featured in Life magazine. He also produced some two dozen books. This Is War!, a 1951 book on the Korean conflict, was one of his defining works. His photos of exhausted and numbed soldiers perfectly captured "the 1,000-yard stare" of the infantryman who had seen too much combat. "I felt no sense of mission as a combat photographer. I just felt maybe the guys out there deserved being photographed just the way they are, whether they are running scared, or showing courage, or diving into a hole, or talking and laughing. And I think I did bring a sense of dignity to the battlefield." Duncan was wounded several times covering wars, but kept going back for more in Greece, Turkey, India, Egypt, Morocco and elsewhere. In contrast to his work in Korea, Duncan was sharply critical of U.S. involvement in Vietnam, calling his 1968 book I Protest! His work was wide ranging, including art and politics. "Without a word she took me by the hand," Duncan said. "We went past a goat called Esmeralda on the stairs, through a sitting room with a couple of sketches on the wall, through a dark corridor and there was Picasso, just sitting there in a bathtub." 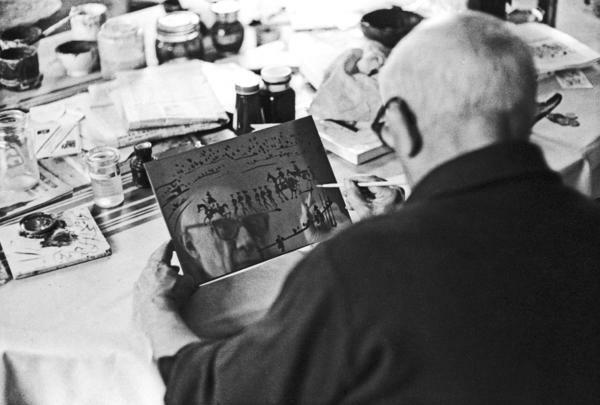 Duncan took a picture, and ultimately produced eight books on the artist based on thousands of intimate photos from the final two decades of Picasso's life. 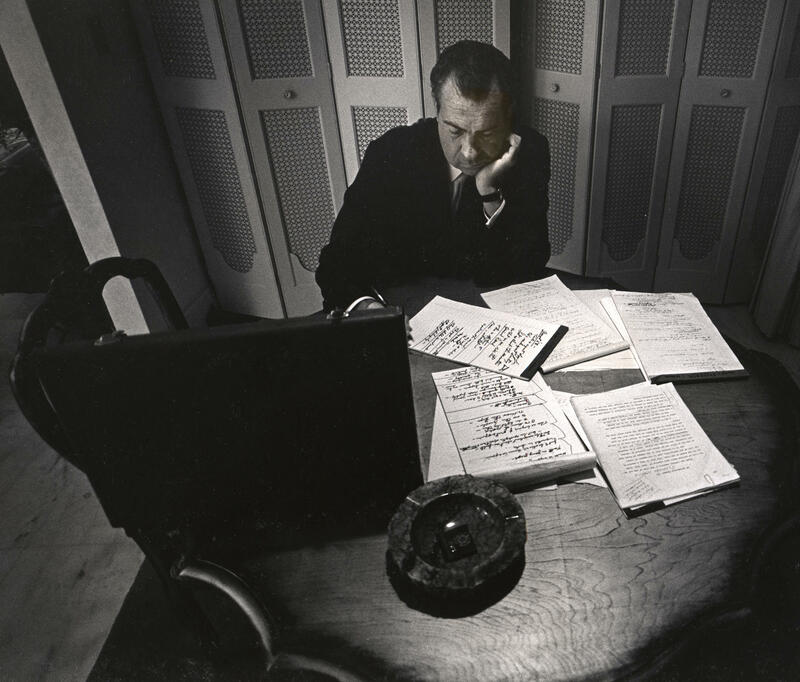 Richard Nixon granted Duncan insider access during his 1968 presidential campaign. The result was a memorable photo of Nixon, alone in his hotel room amid a pile of papers, working on his acceptance speech at the Republican National Convention. The restless, adventurous Duncan called himself a "photo nomad" and was forever setting off for remote places to document the everyday lives of obscure communities whose lives were in flux. His work was critically acclaimed at the time, and much of it feels even more haunting today. 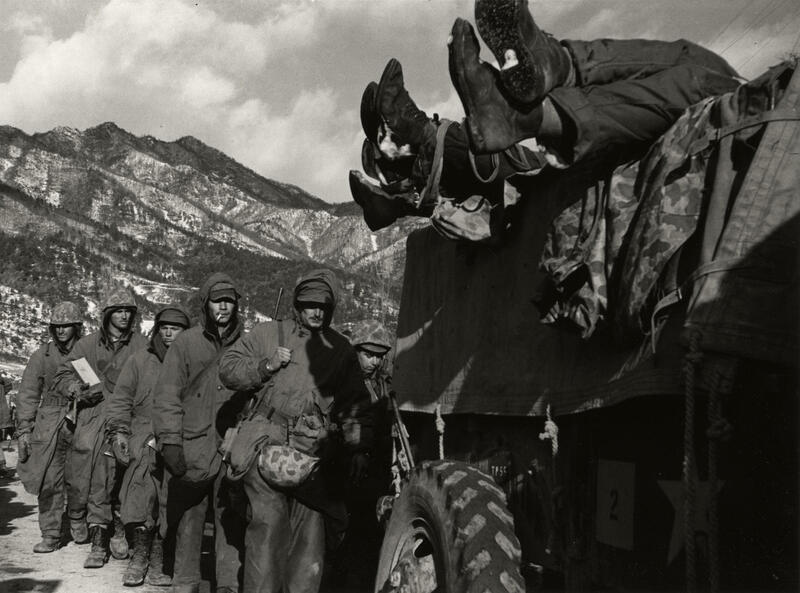 His Korean War photos are all the more poignant given the current dramas playing out on the peninsula. A striking 1946 photo from Jerusalem shows a shaft of light descending on a narrow stone street as people go about their daily routine. Just a year later, war would erupt, and the city remains bitterly contested until this day. A 1955 picture shows Afghan troops in a guard post made of mud, looking across a river that marks the border with the Soviet Union. That photo presaged a Soviet invasion that ultimately came in 1979, unleashing years of war in Afghanistan that still grind on.